This school bus collective art piece was created as a means to share throughout the communities the coming together of cultures. 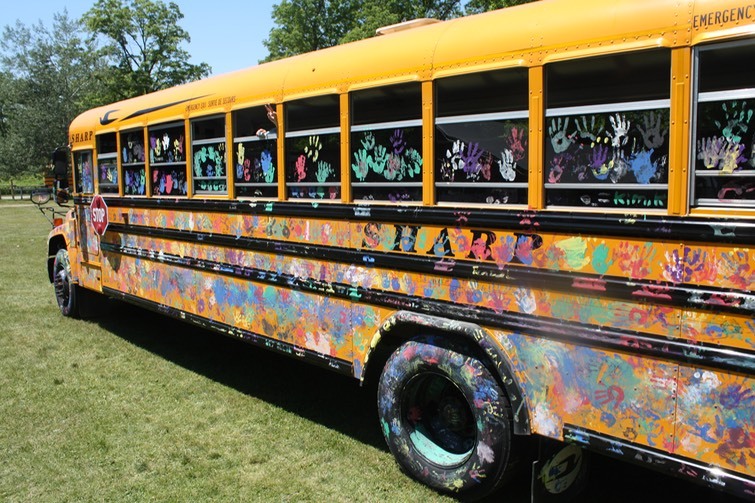 Pen Pals were invited to place their hand prints upon the bus which later completed it’s usual home time run. Needless to say there were some surprised students when this beauty showed up to take them home. Thank you to Sharp Bus Lines for the vehicle.